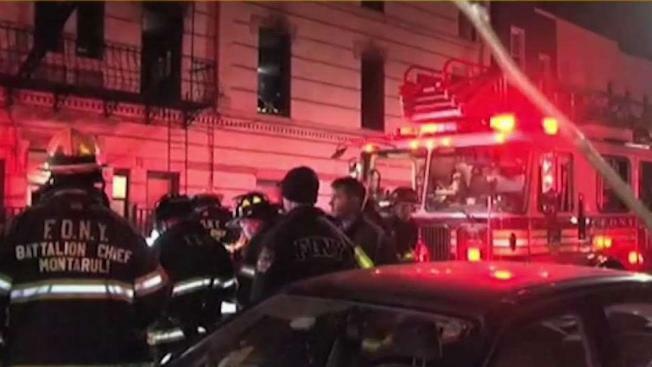 Two girls, ages 7 and 9, died in a Brooklyn apartment fire, police said Sunday. Firefighters pulled the girls from the building on Schaefer Street, near Central Avenue, in Bushwick around 11 p.m. Saturday. Payton Gomez, 7, and Haley Harris, 9, lived in Brownsville, police said. It's not immediately clear why they were at the Bushwick home. Police say they were pronounced dead at a hospital. A 53-year-old man rescued from the three-story residential building is hospitalized in stable condition. Video showed flames pouring from the side of the building.